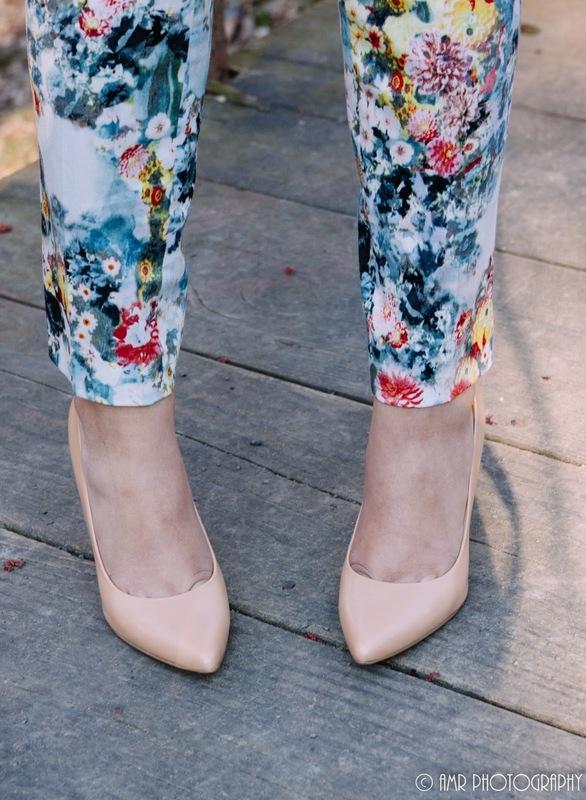 Even though it's been a little chilly here in the DC area, you can't help but feel Springy in a pair of floral pants! I paired them with a bunch of neutrals because I wanted the pants to be the main focal point of my outfit. I've also been really into mixing metallic's lately. I always thought that was a no-no but who came up with that rule?